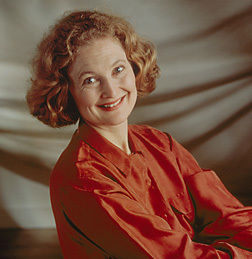 Coming from the English choral tradition, Emma Kirkby did not embark on a soloist career until fairly late. She sang for pleasure in choirs while going from studying classics at Oxford to working as a schoolteacher. Once discovered, however, Kirkby soon became a star on the early music scene, and a much-admired model of style and technique for other singers. Her repertoire is both wide-ranging--from the late Middle Ages to Haydn and Mozart--and the result of careful and discriminate choices. Having made well over 150 recordings to date, she still favours the chance to perform live, especially enjoying repeat collaborations with esteemed colleagues. This artist of great intelligence and erudition has played a particularly important role as an interpreter and champion of the still under-appreciated English vocal music from the Restoration era and the Age of Enlightenment. LSM: You are known as an ancient music specialist and, as a matter of fact, you rarely venture further than the Classical period. What do you think of the music of the Romantic period? EK: Mostly my reaction to Romantic music has to do with scale. I can be thrilled to hear a great singer soaring above large orchestral forces but on the whole that's not my sound or my scene. When it comes to the chamber pieces, that's a very different story--though even there I prefer the sound of the pianos of the time to the super-efficient, super-seamless modern specimens. Some composers use the piano in a way that I can survive well, especially Debussy. Others are exulting in the power of the new instruments and need heavier voices to match them. LSM: A couple of years ago, you did venture beyond the Classical period and record some music by Amy Beach. Why this exception? And what about the music that David Fisher has composed for you? EK: Sorry, I'm just not that proactive! I respond to what comes my way, especially when my arm is twisted by people I respect. In the case of Amy Beach, my friend and colleague Charles Medlam of London Baroque asked me to sing with his piano trio, just locally to start with, near where he lives in Berkshire. He found a couple of Amy Beach pieces for the rather unusual combination of soprano and piano trio, and they were so special we started to look further. The CD we did for BIS just scrapes the surface of her song output. She was a brilliant pianist herself and used the instrument with great subtlety, a treat for the singer. She had to be self-taught, but had a wide command of song styles in three languages; sometimes she recalls Schumann, sometimes Fauré, but is always absolutely herself. David Fisher is a talented choirmaster and composer. He wrote a piece for me to do with the wonderful Derby Choral Union--one of Britain's oldest groups and still very healthy today, and of which I'm proud to be a patron. It is a very singable piece for me and there are bits that are great to listen to and pretty challenging to sing. LSM: Although you have sung music set to texts in different languages, you obviously have a special affinity for music set to English texts. Tell us more about your kinship with this repertoire. EK: Of course, to sing in English feels like coming home. At the same time, I am rather choosy about the texts. I love to sing the pieces that really embody and cherish the lyrics, and I prefer the lyrics, especially in the Renaissance period, which were written consciously for a singer. It's no accident that the Shakespeare pieces that still set so beautifully over hundreds of years are the "songs" in his plays. The sonnets, Donne's sonnets and other more intricate poems that require to be seen as well as heard, are not such suitable lyrics for setting. As the Baroque period continues on towards the Classical I find a certain impatience with the texts, classic exceptions being Jennens' masterly work in Handel oratorios, especially Messiah and L'Allegro; brilliant uses of the Bible and Milton's poetry; and Maurice Greene's settings of Spenser sonnets. Otherwise a certain picturesque sugariness creeps in, and at the same time it can be harder to get the words across the way I like to. I just sang a beautiful piece by William Hayes, about Echo and Narcissus; the text was at times very hard to deliver and the audience needed the words printed to understand what was going on--but it was all a very pretty effect. LSM: Talking of English music, historians and musicologists tend to regard the Elizabethan period as a golden age, the time when England, open to continental influences but still comparatively free of them, made its most unique musical contribution to the world. Do you agree with that judgment, and who is your favourite Elizabethan composer? EK: Yes, I do agree it was a golden age. No, I don't have a favourite composer. I love too many of them; they are all individuals and deserve their space in our affections, like children would in a family. The following period should not be ignored, either; Henry Lawes, for instance, is a genius. LSM: We live in a very different world from the world in which the beautiful music you sing was originally composed. If you were given the opportunity to visit one historical period and spend some time there, which one would you choose and why? Marenzio and Luzzaschi madrigals in Ferrara, for the Three ladies and others. A vocal consort tackling one of Giaches de Wert's glorious new settings of Tasso--and what Tasso thought of it. Monteverdi madrigals as well, any of the books but especially the a cappella ones, and the first performance of his vespers; maybe Orfeo too, in that room in Mantova where the performers probably outnumbered the audience--and of course, the rest of Arianna. A glimpse of Barbara Strozzi as a child in Venice. I can't resist making a point here: imagine a period full of the greatest composers, of the stature of Beethoven, Mozart, Bach, and Stravinsky, but also a time when the main outlet for their talents, and the thing the patrons will pay best for, is vocal music. Much of it takes place in church, of course, where in time one might be allowed a few instruments too; but there is also vocal consort music, settings of the finest poets, to be sung by the best singers, because for them that's the main source of employment. But I don't wish I'd been born in another period--I'm quite happy in the here and now. I'd just be a virtual fly on the wall in the scenes outlined above, without the physical challenges they faced. LSM: Is the spiritual dimension of religious music, notably Bach's, something to which you are particularly sensitive? EK: Bach is, of course, absolutely special, and like many others I find it hard to get through one of his Passions, or the Agnus Dei of the B Minor Mass, without tears; but there's a spiritual energy in all music. This was understood without a qualm by Renaissance people who looked to music for the refreshment of their souls and a reminder of the higher, more subtle world; they made little distinction between liturgical music and the contemplative pieces they played at home in the evenings. Despite my typical English background of understatement, I have come to admit that as musicians we are lent this energy in performance, and audiences aid the process with their attention. All this is made clearer in sacred places, whether in ancient churches that carry the traces in their fabric of past musical ceremonies, or in places that are dedicated afresh to the endeavour. Sometimes fine music and the passionate attention of an audience can transform the most unlikely places! LSM: Whenever you add a new CD to your abundant discography, it is invariably an object of critical acclaim. What is the secret of your extraordinary vocal longevity? And especially, what is the secret of your uniquely beautiful sound? EK: I don't really know how to answer such kind and flattering questions! I am grateful for the appreciation of some, but aware that my sound doesn't suit all tastes. I have no secrets, other than the good luck of singing music that suits the scale of my voice. My ideal dynamic is nearer conversation than loud declamation, and that has so far served me well. I have wonderful colleagues to work with, both vocal and instrumental. They never fail to inspire me, and when I feel like moaning about silly schedules, air conditioning (horrid for vocal cords), or any other of the petty annoyances of the touring life, I try to temper my response with the awareness of how incredibly lucky I have been. LSM: Tell us more about the Theatre of Early Music and your association with Daniel Taylor. Where will your tour take you? EK: The tour this summer is just to Elora, Ottawa, and Quebec City, places I enjoyed visiting last year also. I first sang with Daniel Taylor in Montreal with the Studio de musique ancienne de Montréal (SMAM)--he was a very young and very musical guy, I thought. He has a marvelous voice, is still pretty young, still extremely musical, and I really enjoy duetting with him. We recorded Scarlatti's Stabat Mater two years ago, but it's not out yet; and there are plans to do Bach's version of the Pergolesi setting next year. Emma Kirkby's Canadian tour begins on July 24 (Elora Festival / 519-846-0331), continues on July 25 (Quebec Bach Festival / 418-681-0655) and concludes on July 27 at the Ottawa Chamber Music Festival (613-234-8008).